Huawei Honor 8 is finally coming to the US of A. 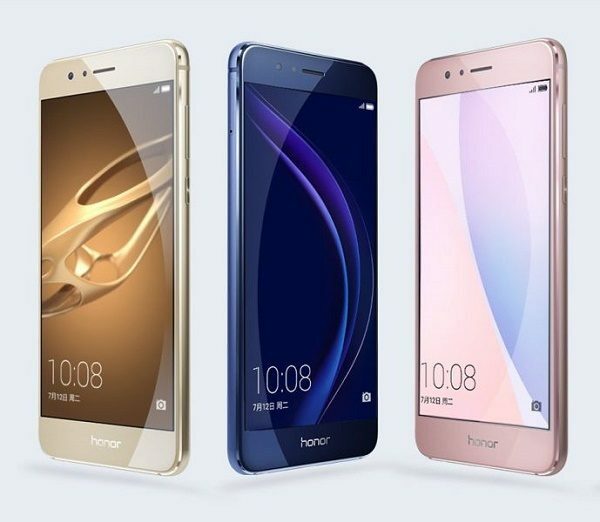 The high-end Huawei Honor 8, which was unveiled in China in early July, is slated to be introduced to the US of A in a Press Event taking place on Tuesday August 16th 2016 in San Francisco, California. It may end up costing US$350 unlocked, which is a steal for a dual-Camera smartphone. So Jamaicans and other Caribbean nationals can start asking relatives to add this to their Christmas Barrel. Check out the Press Invite to the event, which is set to be a Chinese spectacular. Not much is known about the Honor 8, except that it has similar specs to the Huawei P9 and uses glass on the back instead of metal. So here’s a quick rundown on the Huawei Honor 8 specs! The IPS LCD capacitive touchscreen, has a resolution of 1080 x 1920 pixels with an approximate 424 ppi pixel density. The screen is protected by a Corning Gorilla Glass 3 and the entire smartphone weight in at 153 g (5.40 oz) with dimensions of 145.5 x 71 x 7.5 mm (5.73 x 2.80 x 0.30 in). It’s not even confirmed to be a part of the Press event. So why am I speculating that it’s going to be a part of the Press Event taking place on Tuesday August 16th 2016 in San Francisco, California? On closer inspection of the invite, one notices at the bottom a symbol that isn’t mandarin or any dialect of Chinese. This symbol is the looped infinity symbol, which has been used before by the Chinese to convey their pride in bringing the innovative dual-Camera setup to the smartphone market. Dual-Camera can not only correct for depth perception, seeing much further than a single camera setup as it makes optical zoom possible while reducing excess light reaching the CCD (Charge Couple Device) making for cleaner, more balanced pictures. More interestingly it also allows smartphone cameras to be used for 3D Imaging and VR (Virtual Reality) sensing of your surroundings, as having 2 cameras in a binocular arrangement improves depth perception. Dual-Camera setups lead towards 3D imaging for the masses, allowing for smartphone user to take 3D printed images of object and their surroundings using a 3D Printer. 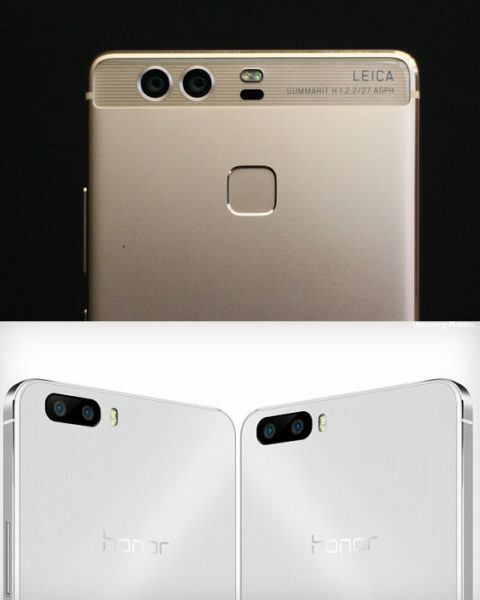 The Honor 8 is the only Huawei smartphone camera that has a dual-Camera configuration. 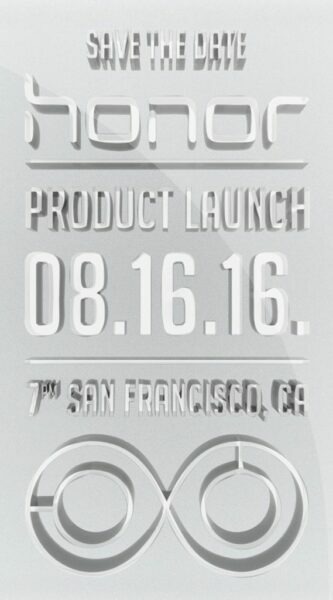 So without a doubt, the Honor 8 will be the star of the show come Tuesday August 16th 2016 in San Francisco, California as this innovation expresses Chinese Pride to Infinity and Beyond!